The use of sandalwood or chandan dates back to a thousand years, not only in India, but in other regions around the world as well. Egyptians used sandalwood for its medicinal properties and in rituals to honor their gods, which is not much different from its function in India. It was also widely used as a beauty ingredient in the form of perfume and soaps. There is a reason why it is still so popular – it actually works! 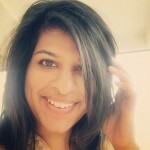 Read on to learn how to incorporate sandalwood into your beauty regimen. Let’s discuss in detailed about each type of Chandan face pack. Dry skin truly is a bane for many! Dry, flaky skin not just looks dull but ages faster too. 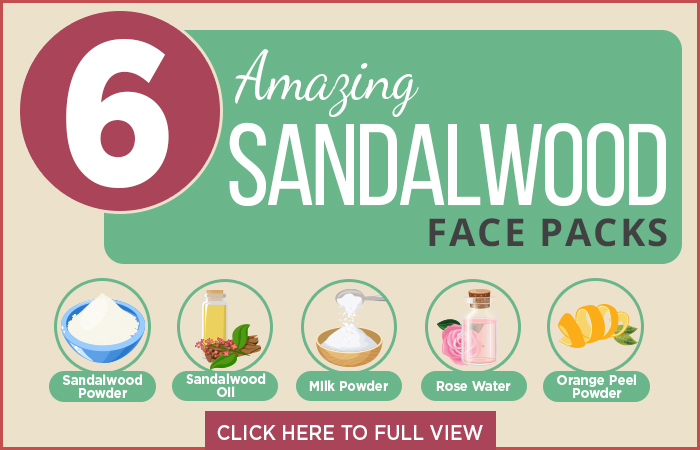 Fortunately, you can now pamper your dry skin with these sandalwood face packs. Use this face pack thrice a week for optimum results. Sandalwood, milk and rose water will work in tandem to restore the natural PH balance of your skin. This will remove signs of skin dryness completely. How To Prepare and Apply Sandalwood And Milk Face Pack? 1. 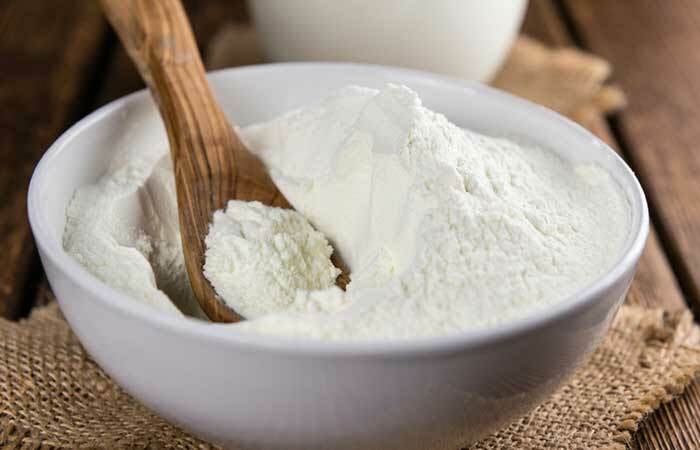 Take the milk powder in a bowl and add a few drops of sandalwood oil to it. 2. Add rose water as much as required to form an even paste. 3. Apply the paste on your face and neck and leave to dry for 15-20 minutes. 4. Wash off with cool water. Moisturize. The coconut and almond oil, when combined with sandalwood, will help to add moisture to the skin and prevent any burning caused due to dryness. 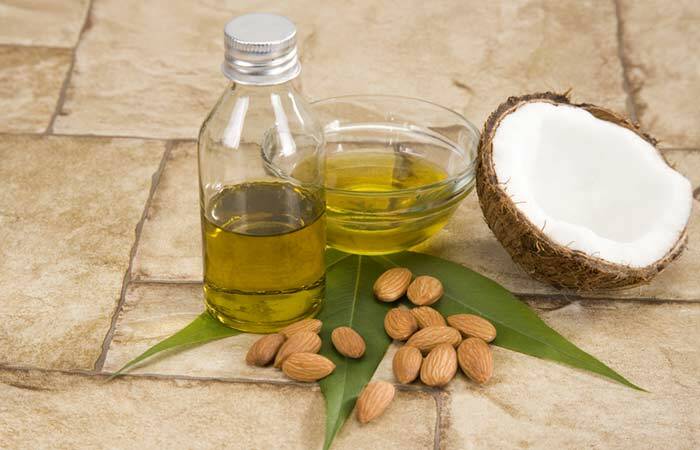 How To Prepare and Apply Sandalwood, Coconut, And Almond Oil Face Pack? 1. 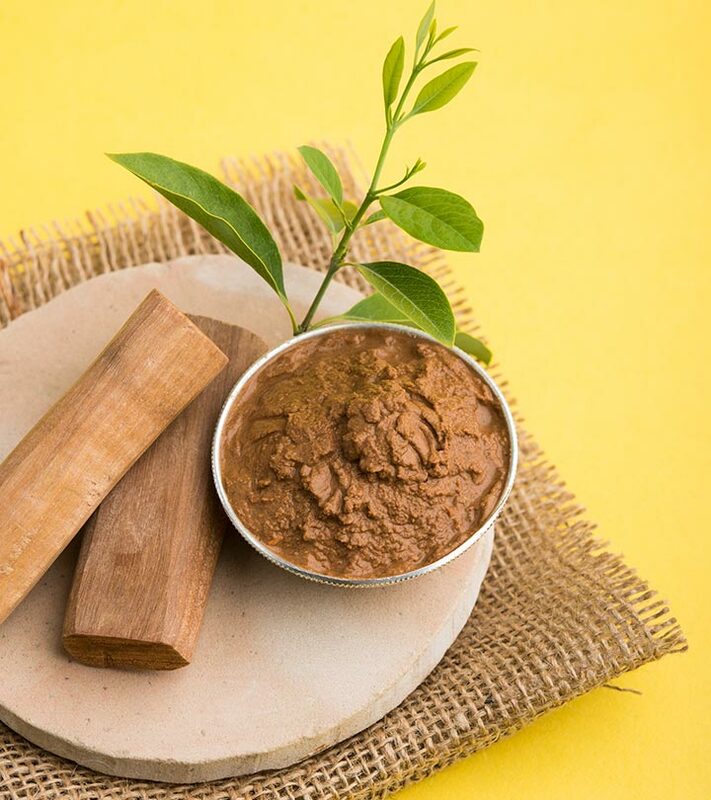 Mix sandalwood powder with coconut oil and almond oil to make a paste. 2. Add a few drops of rose water as required. 3. Apply on the face and neck. 4. Let the pack sit for 15 to 20 minutes and wash it off with water. Isn’t it amazing that a single product can work to beat both dryness and oiliness? Just tweak the ingredients a little, and voila, your dryness controlling face pack can now work as an oil controller! Use this face pack every day to say goodbye to excess oil and dirt. This face pack is also a powerful alternative to anti-pollution face packs/face washes. Sandalwood, when combined with tomato (which is an astringent), penetrates deep into the skin. It cleans the pores of oil and dirt while removing whiteheads/blackheads, giving you a glowing and blemish-free skin. 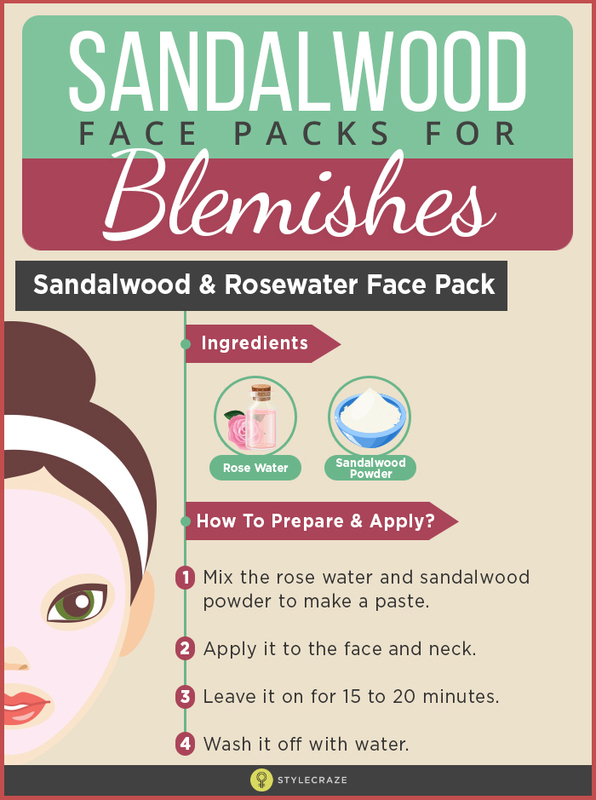 How To Prepare and Apply Sandalwood, Tomato Juice, And Fuller’s Earth Face Pack? 1. 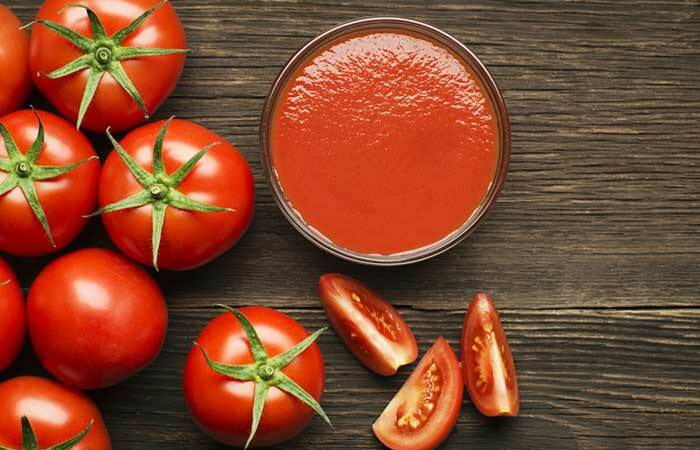 Mix the sandalwood powder and tomato juice in a bowl. Blend well to avoid lumps. 2. Add the fuller’s earth to the mixture prepared in step 1 and mix well. 3. Add a few drops of rose water to obtain even consistency. 4. Apply on face and neck and leave to dry for 15 minutes. 5. Wipe using cotton dipped in ice cold water. 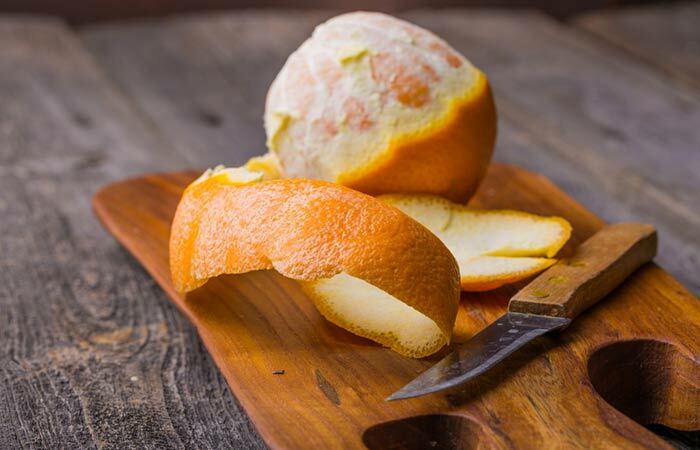 The orange powder helps to extract the skin of any excess oil. Combining it with sandalwood makes the skin glow as well. 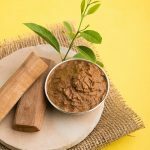 How To Prepare and Apply Sandalwood And Orange Face Pack? 1. Mix the orange peel and sandalwood powder. 2. To the dry mixture, add the rose water. You may add more if required. Create a paste-like consistency. 3. Apply to the face and neck. 4. Leave it on for 15 to 20 minutes. 5. Wash off with water. Sandalwood has antiseptic properties that help to repair damaged cells. This makes your skin appear brighter and younger. 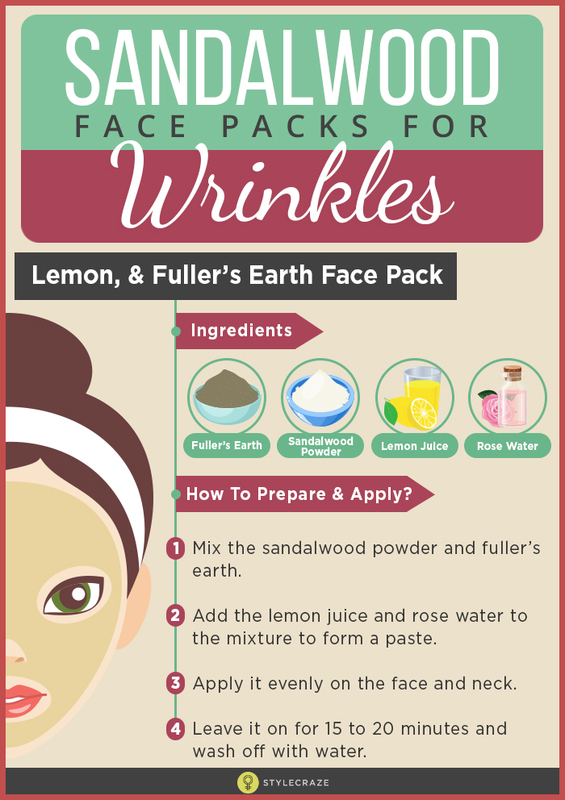 How To Prepare and Apply Sandalwood, Lemon, And Fuller’s Earth Face Pack? 1. Mix the sandalwood powder and fuller’s earth. 2. To the dry mixture, add the lemon juice and rose water. Mix well to form a paste. 3. Apply it evenly on the face and neck. 4. Leave it on for 15 to 20 minutes and wash off with water. Incomplete knowledge is more dangerous than no knowledge at all. Some people believe that only oily skin is prone to acne. This is not true. Dry skin too can get acne. Natural skin processes trigger oil secretion in dry skin, since it gets a signal from the brain to combat dryness. It traps oil in skin pores, which results in acne. This sandalwood face pack for acne will be the ultimate savior for people suffering from acne and pimples. This works wonders for acne and acne-prone skin. It not only fights active acne, but also works to prevent acne scarring and blackheads. 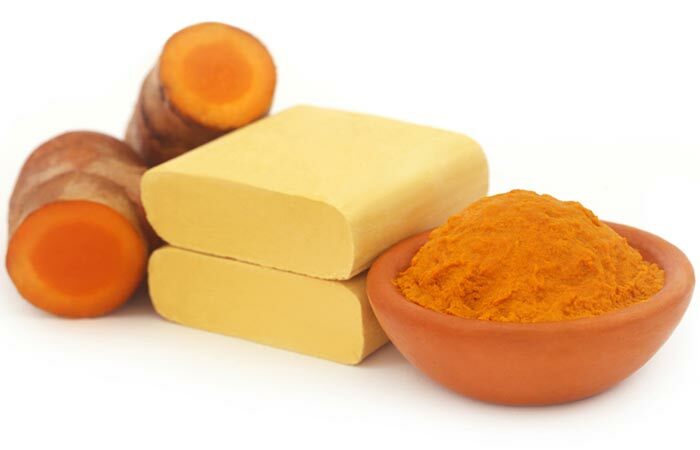 How To Prepare and Apply Sandalwood, Turmeric, And Camphor Face Pack? 1. Combine the sandalwood, turmeric, and a pinch of camphor powder. 2. To the dry ingredients, add in the required amount of water to form a paste. 3. Apply on the face and neck and leave on for 15 to 20 minutes. 4. Wash off with cold water. Use this face pack twice a day. Honey fights off pimple causing microbes, while sandalwood and rose petals (water) reduce oil, clear blemishes, and provide radiance. 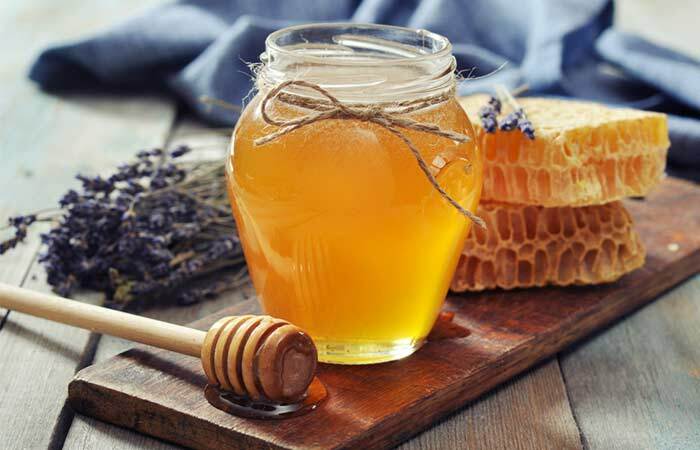 How To Prepare and Apply Sandalwood And Honey Face Pack? 1. Mix the powdered rose petals (sufficient drops of rose water) with sandalwood powder. 2. Add a few drops of honey to the mixture from step 1 and mix to make a paste. 3. Apply the pack on the face and neck. Leave to dry for 20 minutes. 4. Wash with tap water. I am pretty sure all of us want skin free from pollutants. No one wants dull skin, right? Sandalwood is the answer to your wish of having bright and glowing skin. Sandalwood works as an anti-tanning agent and gives you fresh looking skin. Use this face pack daily to reveal brighter skin. The other benefits you can notice with regular use of this sandalwood face pack are reduced wrinkles and spots, and even skin tone. 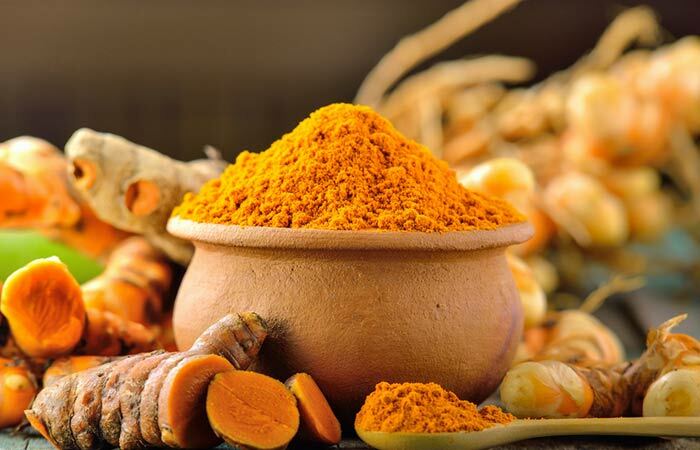 How To Prepare and Apply Sandalwood, Gram Flour, And Turmeric Face Pack? 1. 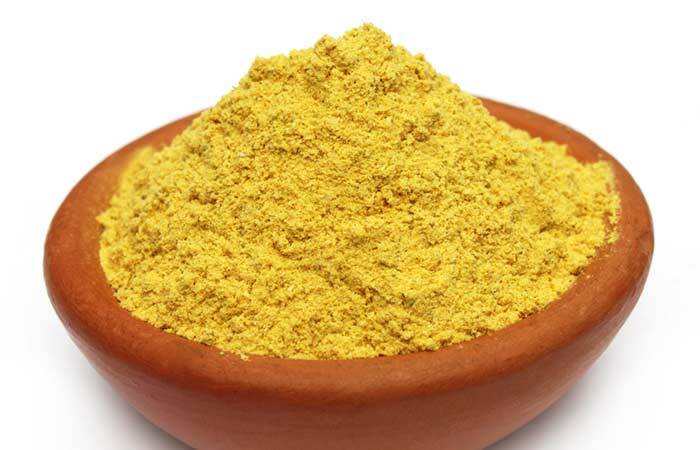 Take 1/2 teaspoon of sandalwood powder/ 8 to 10 drops of sandalwood oil and mix it with 2 teaspoons of gram flour. 2. Add a few drops of rose water and a pinch of turmeric and mix well. 3. Apply on the face and neck and leave to dry for 30 minutes. 4. Wash using tap water. This is a great pack for detanning, as sandalwood works excellently to remove impurities and harshness caused by the sun’s harmful rays. Curd acts as a cooling agent and keeps your skin soft. 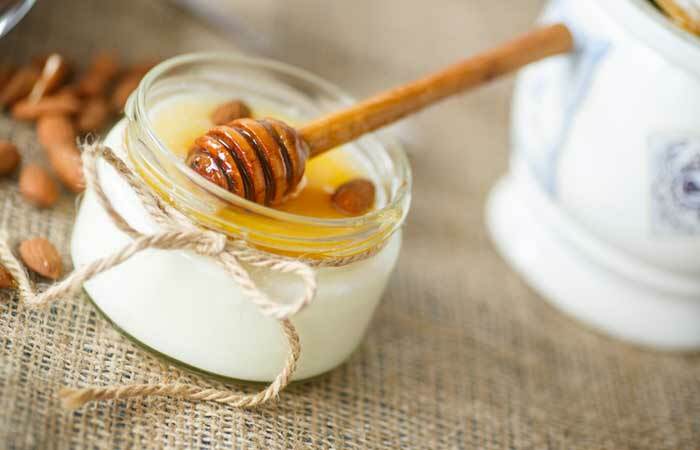 How To Prepare and Apply Sandalwood, Curd, And Honey Face Pack? 1. Combine the sandalwood and curd to form a paste. 2. Add in the honey and mix well. 3. Apply the pack on the face and neck. 4. Leave it on for about half an hour to one hour. This pack helps lighten blemishes and evens out the skin tone. It also helps in removing prickly heat quickly, which can usually occur due to excessive sweating. This is one of the easiest packs ever and makes use of only sandalwood. Sandalwood by itself can do wonders for the skin. How To Prepare and Apply Sandalwood And Rosewater Face Pack? 1. Add the rose water as needed to the sandalwood powder. 2. Create a paste and apply to the face and neck. 3. Leave it on for 15 to 20 minutes. 4. Wash it off with water. Click the following image to get complete infographic on Chandan face packs for different skin types. Sandalwood, if used properly, can put an end to all your skin troubles. There’s something in it for everyone. It is the one-stop solution for all your skincare woes! Give these face packs a try and don’t forget to share your views with us in the comments section below. 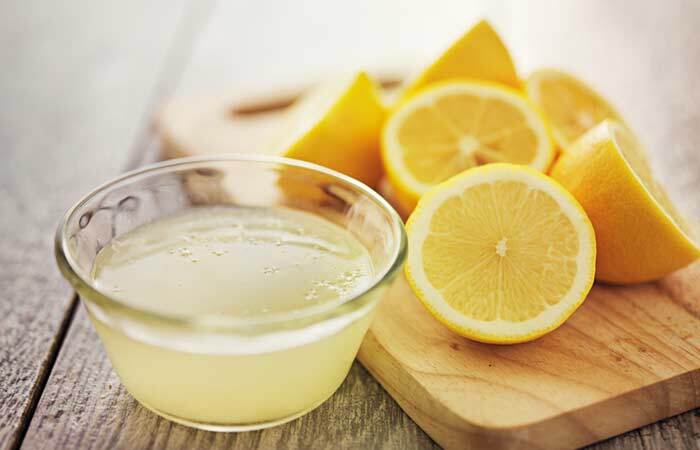 How To Make Lemon And Baking Soda Mask? How To Make Grape Face Mask At Home?